Apadmi has been focussed on mobile technology for almost 10 years, building apps and mobile platforms for clients like the NHS, Argos and the BBC. We’re always working to understand how things can be made better with mobile. And we believe voice technology is a further evolution of mobile. It’s an even more frictionless, intuitive interface. We’re working with a variety of companies to understand how voice could make things more convenient and efficient for their people and customers. There’s a massive difference designing for the ear, instead of the eye. Our team are certified Voice User Experience (VUX) designers to help ensure we get the blueprint right. This way, we build the technology right first time round, rather than finding out in user acceptance testing that something’s not quite right, adding time and money to your project. 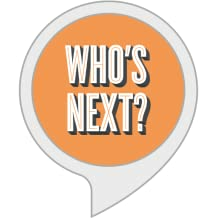 We work closely with Amazon Alexa, attending agency days at Amazon HQ and helping them build the voice community by running Skills 101 and 201 workshops in Manchester and London showcasing out Alexa Developer skills. Earlier this year, we also held an evening dedicated to voice, featuring speakers including Amazon, the BBC and Professor Trevor Cox. Here are a few examples of the work we’ve done recently, for ourselves and for our clients. 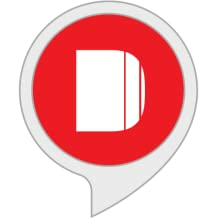 A voice app designed to complement the Drum’s July magazine issue dedicated to voice technology, where readers can ask The Drum Editor, Gordon Young, a variety of questions on the topic. A quick, easy and convenient way of getting your marketing news with just one sentence. 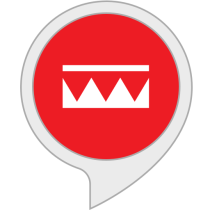 Do you need a voice skill from an Alexa Developer? If you think you have a use case for voice, or you just want to know more about how Amazon Alexa technology can help your business, why not get in touch with a leading UK Amazon Alexa Developer? We’re always happy to come and meet you – for a workshop, a consultation or just to answer a few questions.